A GPS child tracking device utilizes global positioning system technology to locate your child's whereabouts at any given time. This allows you to give your child the freedom to go out on their own, while being able to ensure they are where they are supposed to be. There are multiple factors you should consider when purchasing a child GPS as the different devices offer different levels of security. 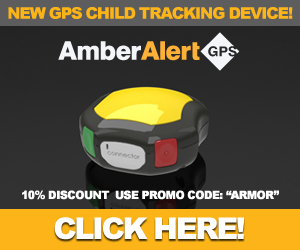 The basic functionality of child GPS devices involves real-time tracking using either special computer software or add-ons for online software like Google Maps. Certain GPS child tracking devices offer a safety zone feature. This is a boundary-setting tool that allows you to define a virtual catchment area of safety. If your child leaves that area you are alerted either via email, text or a flashing message on your computer screen. Some child safety GPS devices feature emergency alerts that children can activate in emergency situations. If your child needs help, he or he can activate the alarm, which sends a silent emergency alert to you and allows you to pinpoint his or her location online. There are many GPS applications that integrate with smart phones. If your child has a smart phone, the GPS integration application can be used instead of having your child carry an additional electronic device. In a similar vein, you can also purchase special smart phones that are designed as child GPS phones. These phones offer a greater level of security than other integration services. Talk to your child about the GPS device; explain why you are using it and how it can help him or her in an emergency. If your child understands that it is for security, he or she is more likely to use it properly. This also maximizes the security potential if you have an emergency alert device. You can expect to pay $150-250 on a child GPS depending on the type and features you choose. The best value for your money may be to use a GPS application if your child already has a smart phone. Return from GPS Child Tracking Device to My Child Safety.